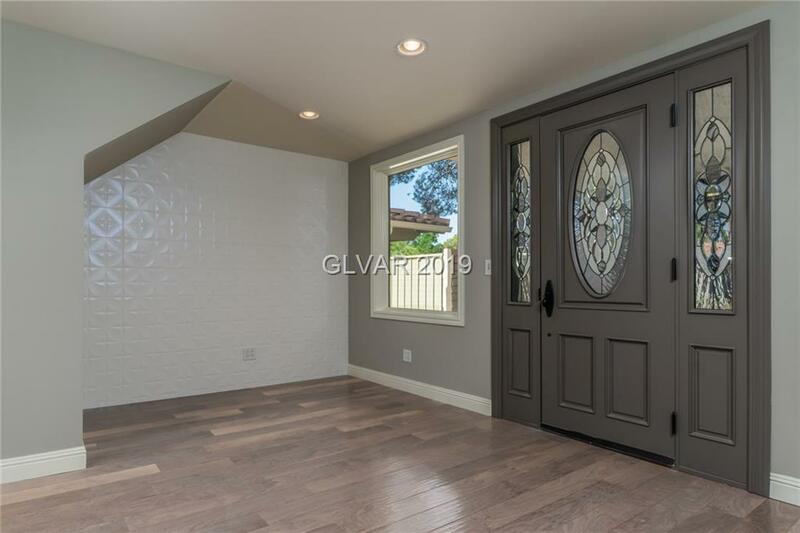 This contemporary Vegas stunner has been completely remodeled and is located in the incomparable guard gated community of Spanish Oaks. Complete with 4 bedrooms, 4 bathrooms, large bedroom and full bath downstairs, 2 laundry rooms both upstairs and downstairs, a show-stopping formal dining room, sun room, built in BBQ and so much more. Conveniently located to freeway access, Downtown Arts District, airport, and the Las Vegas strip. Directions: From The 15 Head W On Sahara, R On Spanish Oaks Through The Guard Gate, L On Calle Del Torre, R On Calle Del Rio, L On Calle De Mazatlan, R On Plaza Del Dios.